For a detailed, “How to” guide for performing a close reading of a poem, I’d like you to consult the “Close Readings and Literary Devices” hand out attached to this week’s files. To perform a close reading of a poem means to systematically read the text line by line and to pay close attention to the use of literary elements in the text. Before you try to determine a message or meaning of the poem, instead look at the smaller elements of the text that jump out at you. – Think about what stuck out about the poem. Jot down certain words or images that stood out to you. – What is the “mood” of the poem? What effect did it initially have on you? Describe it in your own words. – What didn’t make sense to you or seemed mysterious and unresolved about the poem? Sometimes, these mysteries can be solved through repeated reading and examination of literary devices. Other times, these mysteries are purposefully left open-ended. Investigating the mysterious elements of the poem often leads to a good essay topic. Read the poem multiple times. Read it out loud. I sometimes read it in different voices and imagine how the type of person with that voice may view the poem. Let the poem sink in over time. Read the poems well in advance of the due date for your assignments, let your unconscious mind work over their mysteries as you go about your day, and then return to the poems later as the deadline for your assignment approaches. Chances are, you will be able to notice new features of the poem once you revisit them after a period of time. Great poems reveal something new every time you read them. That’s why poems from hundreds of years ago are included in this anthology. Subsequent generations keep finding new ideas and messages hidden in their images and language. – Imagery (What kinds of sensory matters are evoked? Symbols? Metaphors? After you have considered these elements of the poem, chances are you will notice how they are interrelated. A poet will use all of these elements to enhance one another. The content, language, imagery, form, and syntax will often match one another in a certain to drive a certain message, present an argument, or simply depict a slice of life as they view the world. Your task as the analyst is to identify how the poet uses these literary elements to support this message, argument, slice of life, or whatever you think the point of the poem to be. Do not get hung up on “solving” the poem. Sometimes a landscape is simply and landscape. Yet in analyzing how the poet uses these literary devices, we can gain a sense of how they feel and what they think about their landscape. Then, you can evaluate whether or not you share this sentiment. Poems are not usually riddles with a definite answer. You do not have to always wrap up the “bigger picture” of the poem. Instead, feel free to work on any element of the poem that strikes you, inspires you, worries you, or simply grabs your attention. A fixed form consisting of fourteen lines of 5-foot iambic verse at times following a strict rhyme scheme. The conventions associated with the sonnet have changed during its history. A measure of rhythmic quantity in poetry. The organized succession of groups of syllables at basically regular intervals in a line of poetry, according to definite metrical patterns. The unit of meter is the foot. The pattern established by the arrangement of rhymes in a stanza or poem, generally described by using letters of the alphabet to denote the recurrence of rhyming lines. This week, we will be looking at the classic Shakespearian sonnet, written most famously by Shakespeare (shocking information, I’m sure). Shakespeare’s sonnets contain the following rhyme scheme: ABAB CDCD EFEF GG. It’s this consistent rhyme scheme and rhythm of stressed syllables that gives the Shakespearean sonnet its lyrical quality. A symbol is a graphical, written, vocal or physical object, which represents another, usually more complex, physical or abstract object, or an object property. Shelley’s “Ozymandias” is essentially a poem about the symbolism of this now broken statue of the Egyptian pharaoh. 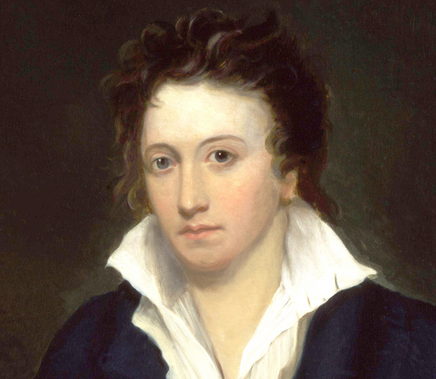 As you read about the poem, think about what Shelley may have seen symbolized in this once great and powerful ruler now reduced to a broken relic and a historical footnote of the ancient past. A rhetorical trope defined as a direct comparison between two or more seemingly unrelated subjects. This device is known for usage in literature, especially in poetry, where with few words, emotions and associations from one context are associated with objects and entities in a different context. 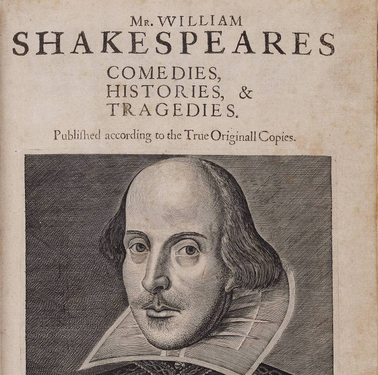 Shakespeare’s “Shall I Compare Thee to a Summer’s Day” is an example of an extended metaphor. Here, the metaphor is the Summer’s Day, and the comparison is made to a woman. By describing the nature of summer and comparing it to the woman, we gain new insight on her physical attractiveness, her personality, and Shakespeare’s own feelings for her. The central idea, topic, or didactic quality of a work. The central theme in Marvell’s “To His Coy Mistress” is time and urgency. In essence, why wait another moment to express our love when we only have so much time left on this planet? The theme of the short nature of life is used to bring a new perspective to the nature of love. Highlight the final rhymed couplet in each sonnet. Often, this rhymed couplet provides a summary of Shakespeare’s point or provides a new perspective or consideration for the point he made in the previous 12 lines. How does Shakespeare use a shift in his tone or reframe the imagery and metaphors he used in this rhymed couplet to stress a new consideration of the topic of his sonnet? Both Sonnet 18 and 130 describe women. Pay attention to the words he uses to describe them, including adjectives, imagery, metaphors, and things that he compares these women to. What kind of a picture does he paint of these women and how does it indicate his feelings for them? All three poems build their messages with themes of aging, death, and decay. Which objects or images does Shakespeare attach to these allusions? What might he be saying about the subjects of his poems if he is constantly bringing up aging, death, and decay? 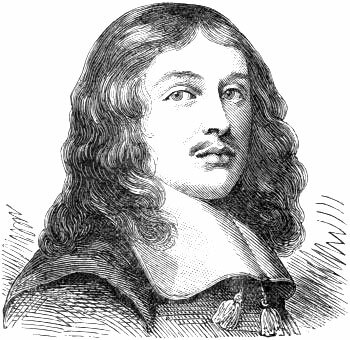 Andrew Marvell (1621-1678) was a British poet and politician, often characterized as a “metaphysical poet”. Metaphysical poets were known for using conceits (an extended metaphor that evolves of the course of the poem) to explore ideas about spirituality, love, and nature among other themes. As you read the poem, look for extended metaphors that respond to his mistress’s coy personality. What does it mean to be coy and how does Marvell respond to it? This poem is known as a “carpe diem” poem, meaning “seize the day” or as an equally famous lyricist of the 21st century has put it “YOLO”. Think about what it means to seize the day and what this has to do with the mistress’ coyness. As with Shakespeare before, pay close attention to the words that Marvell chooses to rhyme along with the stressed and unstressed syllables of the poem. Think about how Marvell’s form compares to and contrasts with Shakespeare’s and how these differences contribute to how they present their similar themes of love for a woman and the question of time, age, and decay. As you read Ozymandias, think about the ideals and features of Romanticism. Which romantic themes, imagery, and ideals can you locate in his poetry? As illustrated earlier in the section about symbolism, we can consider the broken symbol of the long dead pharaoh as symbolism. Symbolism as a literary element uses an object or image to stand in for more abstract concepts, ideas, values, emotions, and any other phenomena that are real, but not tangible. 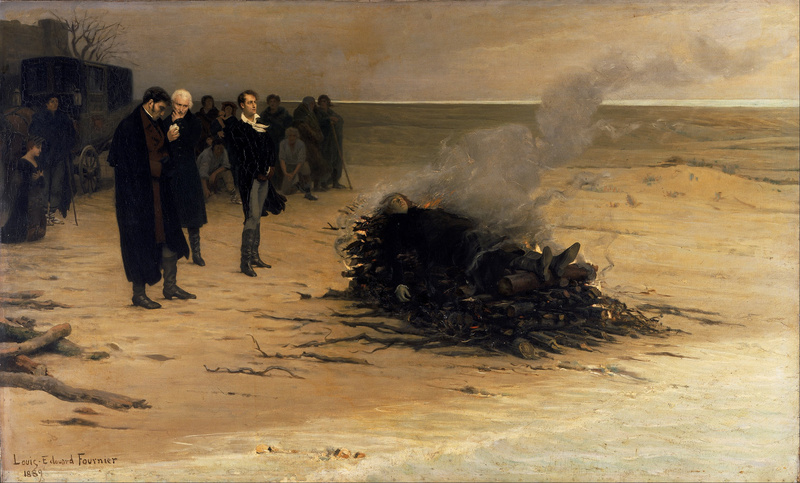 What might Shelley be using Ozymandias to symbolize? Ozymandias has had a huge influence on modern culture. Here’s a clip from a promotion for the TV show Breaking Bad in which the lead character, Walter White, recites the poem over scenery from the show’s location in New Mexico. If you are a fan of the show, think about the central themes of the poem and consider what parallels the story of Ozymandias has with Walter White and Breaking Bad.